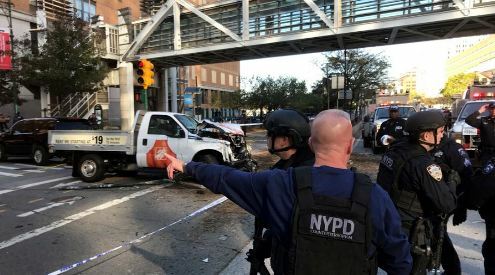 MANHATTAN (CN) — Eight people died and at least 11 were injured Tuesday in what New York City Mayor Bill de Blasio said was a terrorist attack on innocent pedestrians and bicyclists on and around a busy bicycle path near the World Trade Center memorial. “This is a very painful day in our city,” Mayor de Blasio said, addressing reporters at a briefing at One Police Plaza in New York. “Based on the information we have this was an act of terror and a particularly cowardly act of terror,” the mayor added. “We know this action was intended to break out spirit, but we also know New Yorkers are resilient,” he said. New York State Gov. Andrew Cuomo also spoke, assuring reporters and the public that the suspect appears to have been a lone wolf and that no information at present to suggest the incident was part of an organized plot. 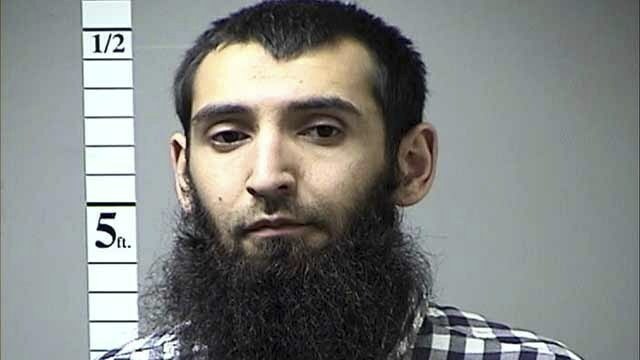 Law enforcement sources identified the suspect as Sayfullo Habibullaevic Saipov, a 29-year-old man from Tampa, Florida. He came to the U.S. in 2010 from Uzbekistan. 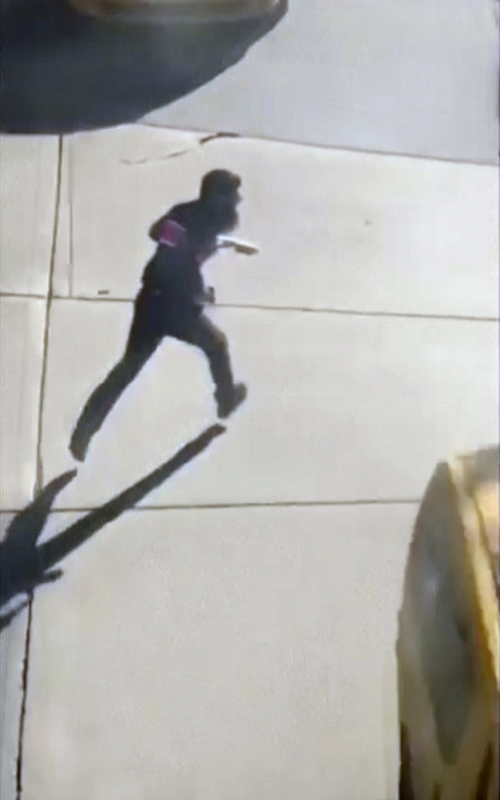 Officials with the New York City Police Department said the incident started at about 3:05 p.m. when a truck rented from Home Depot entered the bicycle path at Houston Street and began plowing into people. The truck traveled to Chambers Street, where it re-entered the roadway and ran into a school bus containing two adults and two children. 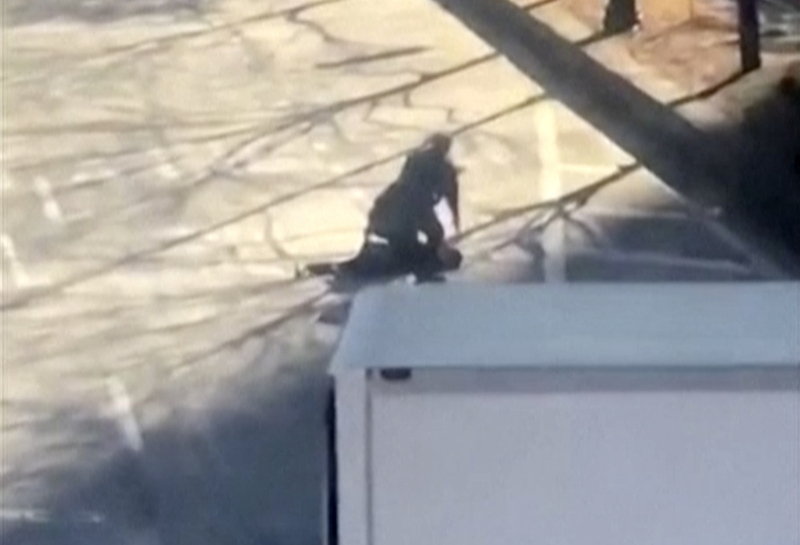 Police officials said the suspect made a statement at the scene that indicated his actions were an act of terror. He was transported to Bellevue Hospital. A paintball gun and a pellet gun were recovered at the scene. 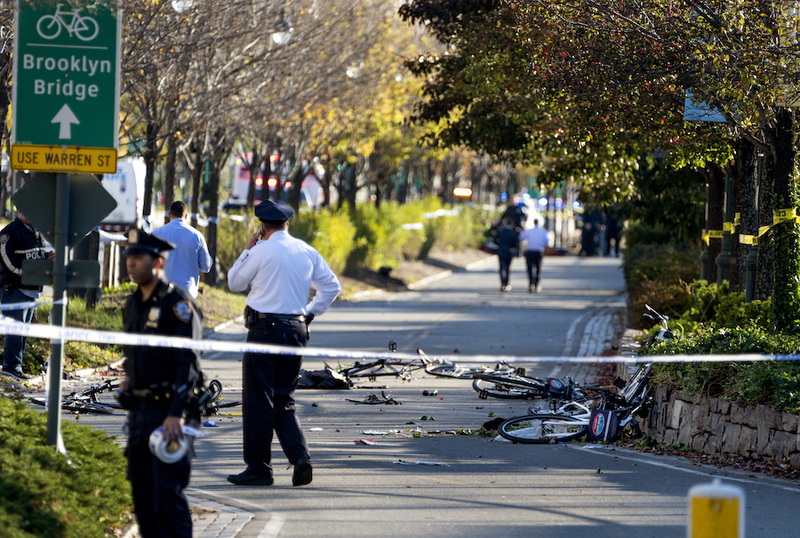 Six of victims died on the mile-long bike path between Houston and Chambers Street. Two people died at the hospital. Of the injured, 11 people were transported to New York Presbyterian and another area hospital, though their injuries are not considered life-threatening. Mayor De Blasio said the attack is being investigated by both the NYPD and the FBI. As if to underscore that latter point, city officials said the annual Greenwich Village Halloween Parade will take place as usual Tuesday night. The White House released a statement Tuesday evening that said President Donald Trump has been briefed on the incident and will continue to be updated.